E39 oxygen sensors (O2) ? What do you know? Hence my statement of getting it diagnosed properly. The times i have seen MAF & 02 sensors replaced by people because of codes recorded, only to later find a mechanical issue has put them outside their parameters. Sounds like they may be out of their depth to come up with the statement you quote. I would say it is quite likely vacuum issue. Get the mechanic to diagnose it properly. It sounds a very random statement to be stating that an 02 is suspect. An 02 sensor out is not going to cause the issue you allude to. 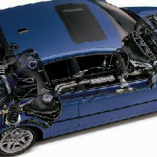 The car needs scanning properly & monitoring live data to correctly diagnose. So finally got around to giving the car a wash and taking a couple of pics showing the new front bumper. Can tell that I need to line it up a bit better on the drivers side, but its not too bad. E46 M3, Manual 6 spd, DME reflash with driveability enhancements. 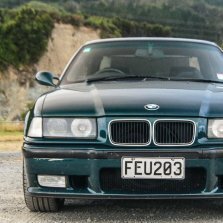 $24000 ono http://www.trademe.co.nz/Browse/Listing.aspx?id=829265515&ed=true E34 1992 525ise Factory manual with LSD, Bilsteins/H&R etc. Ex. cond. 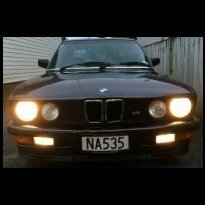 fresh paint .SOLD $5000 Reserve http://www.trademe.co.nz/Browse/Listing.aspx?id=828562487&ed=true SOLD -E21 Mint NZ new 1982 323 manual.-SOLD Surplus E46`s: SOLD 1999 320i $1 Reserve SOLD 2000 318i $3500 Call for details, pics etc. Car Lab on Hobson street are brilliant! A dead oxygen sensor left you stranded? My sister has a swift sport... Keyless.. we decided to try.... guess what you can just pop the lock and get out as usual. tragic. I've got access to a CBD screening room. Shall we organise a Bimmersport screening, John??? i will always stick to 10,000km on an NA car and 5000km on a turbo car. Engine oil these days is subjected to some intense conditions and breaks down over time, its cheap insurance and means the engine will be cleaner and operate better for longer. Would be interesting to compare two engines, in the same conditions, the same ages but one run with long life intervals and the other on shorter intervals. Run them for 10 years and see what the insides are like. Its like a manufacturer (Audi?) is now looking to start bringing out cars with lifetime service intervals.... where the oil in the engine lasts as long as the expected lifespan of the car (which has not been specified, but i bet its short). Much like lifetime trans fluid in BMWs, we know how that works out. As above, a pressure test needs to be done on the head as there does not seem to be any obvious leakage point. Clears look outdated to me. Sooo last decade.